Rebuilding damaged credit can be a long and arduous task. It is a task that many Americans find themselves facing. The recent economic trouble has led to many Americans finding themselves in financial trouble for the first time in their lives. They might have been laid off, seen their mortgage payments double or triple, or faced a medical emergency. Regardless of the reason, falling behind on bills and the all important mortgage payment can wreck your credit in no time. A change in income and a few late payments can cause a credit company to cancel your credit card. This is a devastating blow to some. Credit cards are a necessary part of daily life. Without one, it is sometimes difficult to reserve a hotel room, rent a car, or do any number of things that require a significant deposit. Sometimes a debit card does not cut it. Not to worry. You can still get a credit card, but the question is, should you? Secured credit cards are one way in which people who are experiencing financial issues with their credit can still have a credit card. They differ from traditional unsecured credit cards in one important way. They require a security deposit along with the application. This security deposit is one way the credit card companies protect themselves from the possibility of default. Designed for those with poor credit, they often have higher than normal rates of interest and monthly service fees. For this reason, they are not recommended for those who are still having trouble making ends meet. Secured credit cards are a great way to rebuild credit and reestablish a history of financial responsibility, but they are best used once the tough times have passed. The high minimum payments can often lead to even more trouble. The last thing you want is to be late on yet another payment. Make sure all your bills are current and you have a cushion before taking out a credit card. Choosing a secured credit is not the same as choosing unsecured credit card. APR and introductory offers are irrelevant. Introductory offers are not going to be that good, and you should not plan to carry a significant balance. What is important is the frequency that the credit card companies issue reports to the three major credit agencies. The goal of an unsecured credit card is to rebuild your credit. You want them to report as often as possible. You are going to give them only good things to report. Of course, the next consideration is the amount of deposit they require and the amount of the monthly service fee. You should be willing to accept a higher APR if it comes with a lower security deposit and monthly fee. 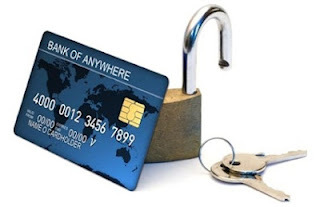 A secured credit card is not an end unto itself. It is a stopgap and a means to rebuild credit. Before committing to a contract, ask the company if they might be willing to consider issuing you an unsecured credit card after a period of no late payments or overages. Many companies are willing to make allowances for customers who have a positive history with their company but a poor credit rating. Rebuilding your credit will take time, but it can be done. Secured credit cards are one way the rate at which credit is rebuilt can be increased. Often times divorce can really ruin your credit, so secured credit cards may be a valid option for them.